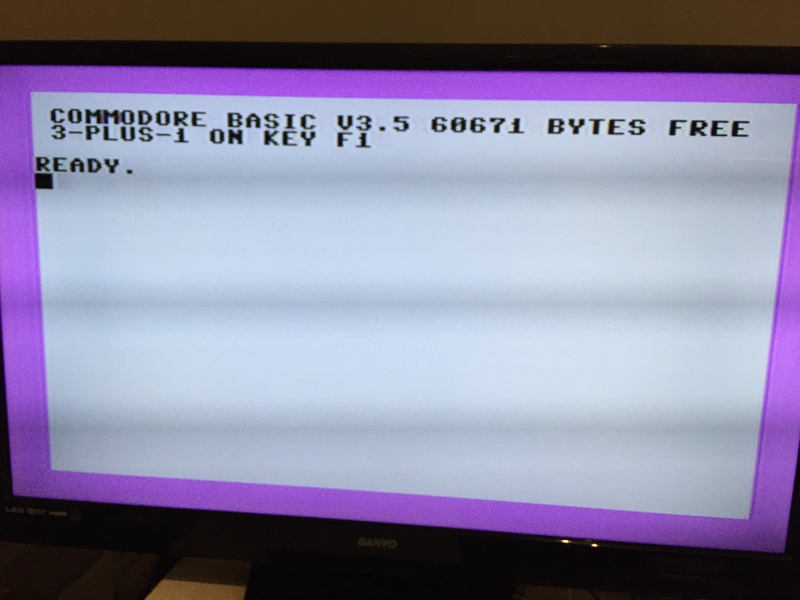 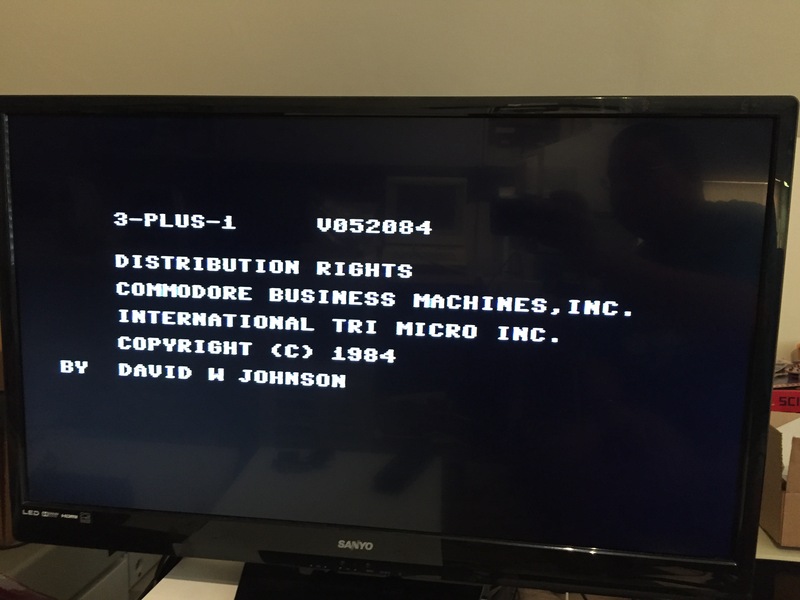 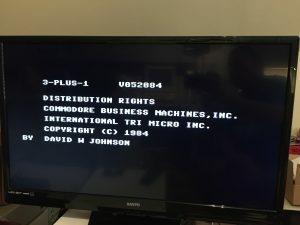 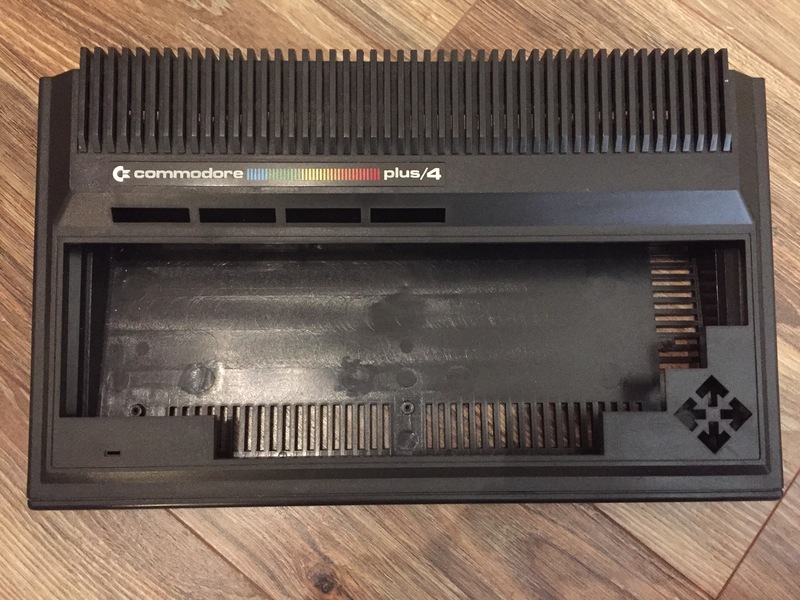 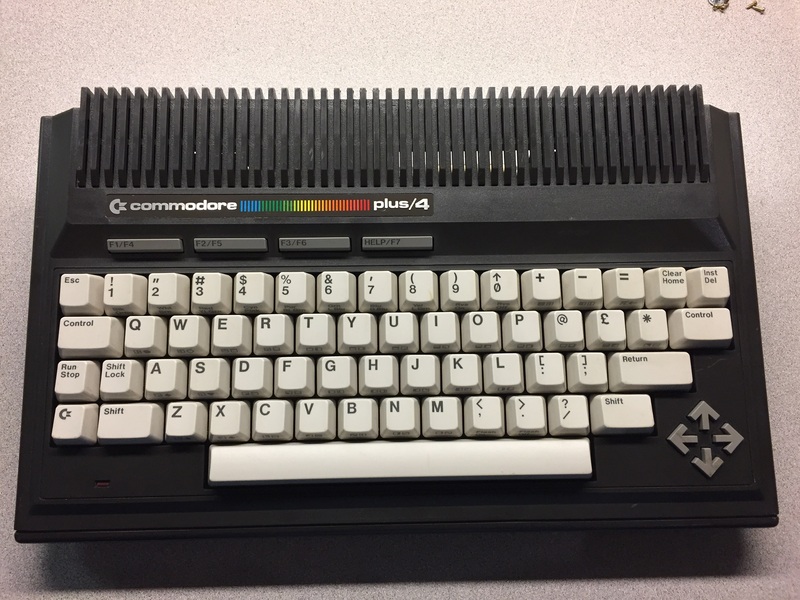 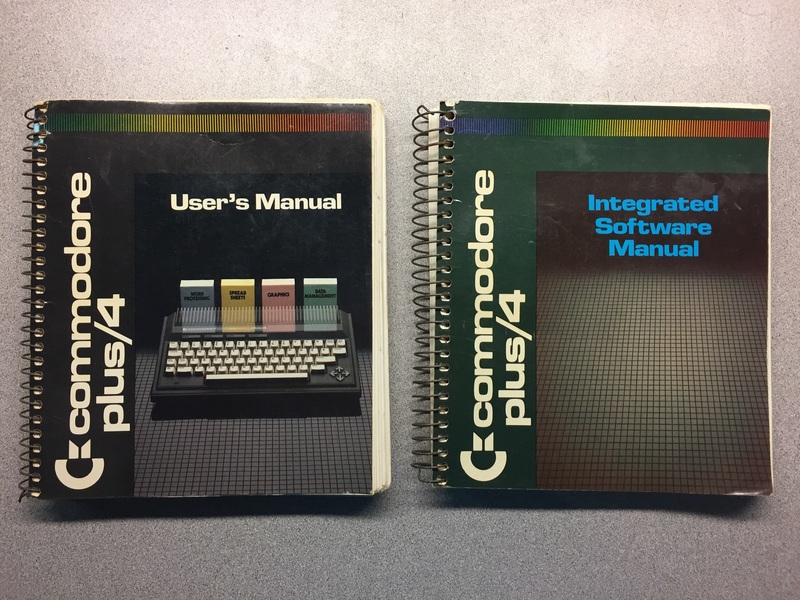 This is our Commodore Plus 4, another addition to the collection thanks to our visit to the Vintage Computer Festival in May 2018. 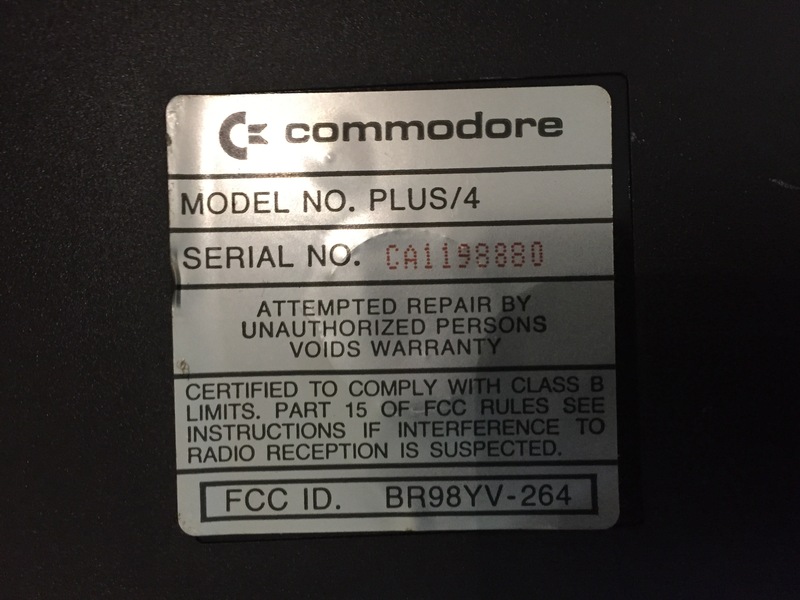 When we first got it, it would power on but was unstable when running programs. 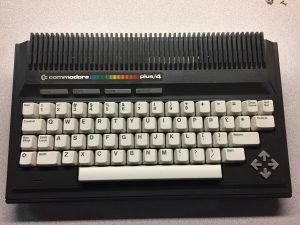 Data would randomly change, programs would crash, etc. 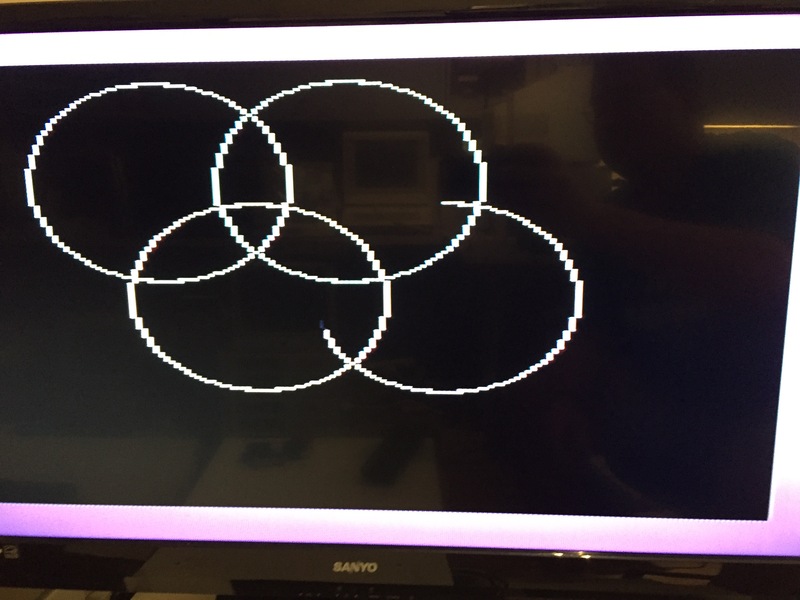 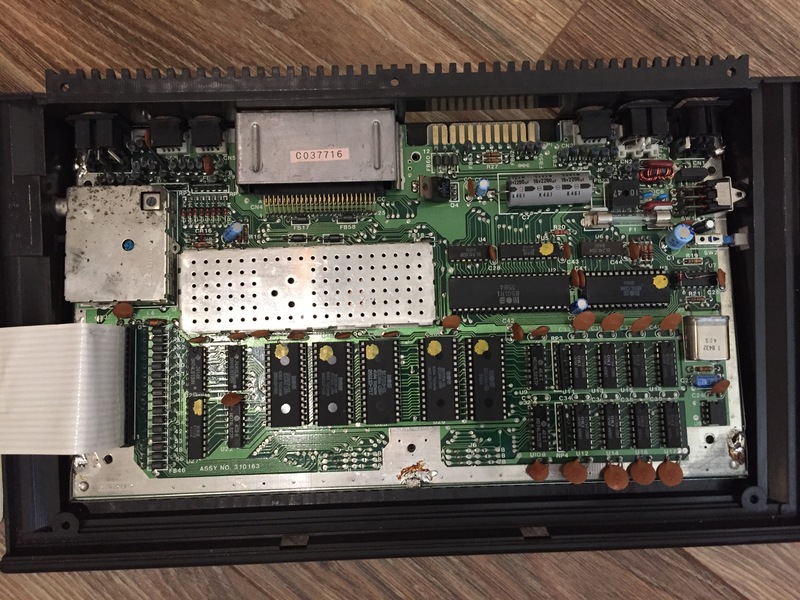 After some troubleshooting, we found that replacing the CPU has solved the issues and it is now fully functional. 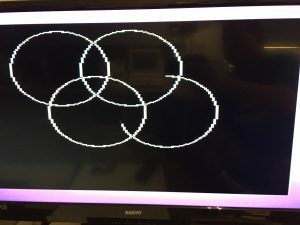 The only other change we made was to replace the power socket with the round socket compatible with other Commodore machines. After some testing and cleaning, it is ready to go! 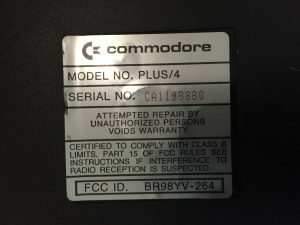 We also have a spare machine for additional parts needs in the future. 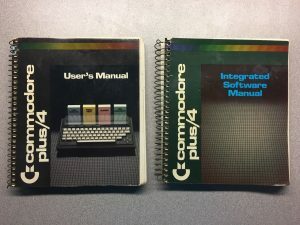 This system also includes the user and software manuals.